Climate Change is happening today. We are past the theoretical and philosophical discussions of what a changing global climate means to our planet. Here is some food for thought: we know that historically wars have been fought, and great migrations of people have taken place, due to lack of water and food. When populations are denied, by man or nature, the most basic needs of food, water, shelter and human rights, civil unrest ensues. History gives us a lens to see the dramatic impact of such cataclysmic events. Events that unfold in the present are more insidious. We are past the theoretical and philosophical discussions of what a changing global climate means to our planet. Climate change is affecting all aspects of our lives. It has very real economic, social and environmental impacts. It has very real impact on the food we eat which supplies the nutrition we need to survive. We see its impact on our food supply in the form of rising temperatures, severe droughts, intensive storms, and flooding from rain events. We compound these disasters by continuing to use farming practices that degrade the soil, poison the environment and pollute the air. Climate change only hastens the demise of a broken food system. But amidst all the doom and gloom are new ideas driven by technological innovation that along with the recognition that older more sustainable approaches can help create more resilient food systems. How we feed the planet is a global challenge that requires local and regionally appropriate solutions. Climate change is hastening the need to put these local solutions in place. Food insecurity is real and can be addressed by creating local food systems. Food sovereignty is a human right not just a social justice issue. Even the most sought-after consumer demographic wants knowledge of and control over where their food comes from and how it is grown. In the face of the very real threats of climate change we have the ability and the right to take back control of our food supply and ensure access to healthy, accessible and affordable food. Food insecurity is a daily reality for many people in this country as well as across the globe. Climate change threatens the tenuous web we call our national food system. Those who struggle to get the daily nutrition they need will be affected disproportionately by the impact of climate change on their lives, making them more food insecure. The gluttonous debate climate change while the food insecure scramble to get the nourishment they need. We need to give them something more tangible than food for thought. Just because technology says we can does not mean we should. I am not convinced that industrial scale plant factories run by robots is the right answer. The vision of such high technology operations to me is neither resilient nor sustainable. AI and automation are tools not replacements for human ingenuity. Large scale plant factories spring from the same vision that gave rise to industrial agriculture and the food industry after the second world war. The reality of climate change is forcing us to acknowledge that the global industrial food system is not resilient and we need a different approach. What are our options? For one, redesign our food systems to scale at much smaller scale. Create more equitable distributed networks of farmers and food producers that serve urban and rural communities. Create food systems for the benefit of communities not corporations. Grow a diverse selection of food where people are; be it the city or the countryside. Create local and regional food networks that provide reciprocal nutritional and economic benefit. Focus on nourishment that encourages health rather than on satiation that encourages addiction. Change what we eat by giving people better options that they can afford. It is a tall task in the context of a dramatically changing climate, but dramatic change is what is needed. And what is needed is change that happens one small step at a time. First Light Project, a Philadelphia area non-profit that aims to be more than thought leaders in the sphere of food insecurity and climate change. We are planning on opening our first neighborhood-based vertical farm in the Spring of 2019 with the expressed mission to grow food and create jobs for residents living in Philadelphia’s struggling neighborhoods. Victory V Farms is a piece of the puzzle, not the whole solution for building strong resilient communities; communities capable of sustaining healthy food systems, creating wealth for residents, and improving the health of people and the environment alike. 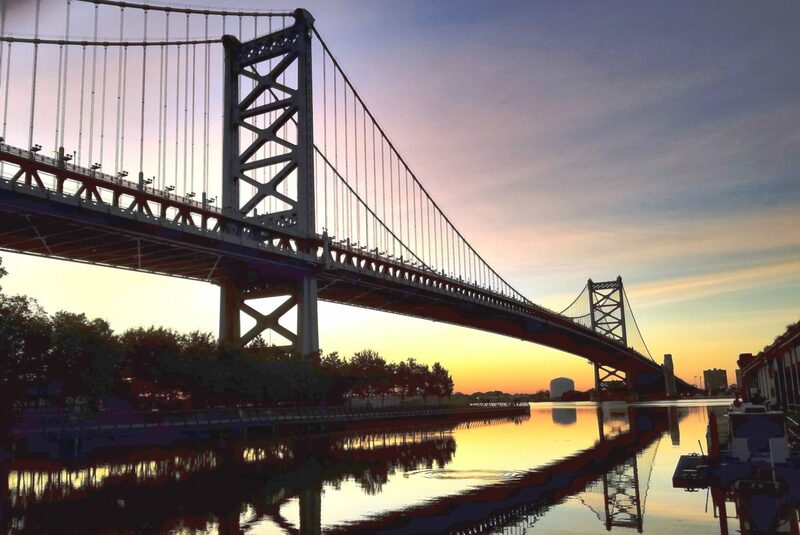 We are one of many partners, collaborators, and supporters working to make Philadelphia a vibrant, sustainable, healthy and welcoming community for all. Victory V Farms will be a vertical farm housed in an underutilized factory building in the middle of an urban neighborhood. We will use controlled environment agricultural technology as tools for humans to grow leafy greens. We will teach local residents how to grow, provide them with jobs at a living wage, and in the process engage them in conversations about the joy of food and the benefits of good nutrition. We aim to demonstrate that there are other models for creating healthy food systems, models that are good for communities, that are accessible, equitable, and ultimately more resilient. We aim to help communities change, before change is forced upon them, one neighborhood at a time. Frank Sherman is a Managing Director of First Light Project, and Director of First Light’s vertical farm initiative. Frank resides in Philadelphia with his husband Chris and an unruly dog named Jake.